This book is the result of years of fieldwork at a public hospital located in an immigrant neighborhood in Buenos Aires, Argentina. 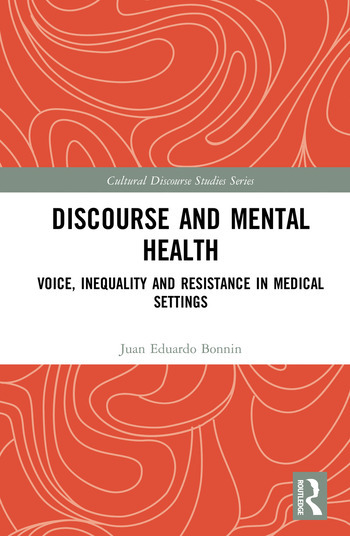 It focuses on the relationships between diversity and inequality in access to mental healthcare through the discourse practices, tactics and strategies deployed by patients with widely varying cultural, linguistic and social backgrounds. As an action-research process, it helped change communicative practices at the Hospital’s outpatient mental healthcare service. The book focuses on the entire process and its outcomes, arguing in favor of a critical, situated perspective on discourse analysis, theoretically and practically oriented to social change. It also proposes a different approach to doctor-patient communication, usually conducted from an ethnocentric perspective which does not take into account cultural, social and economic diversity. It reviews many topics that are somehow classical in doctor-patient communication analysis, but from a different point of view: issues such as the sequential organization of primary care encounters, diagnostic formulations, asymmetry and accommodation, etc., are now examined from a locally grounded ethnographic perspective. This change is not only theoretical but also political, as it helps understand patient practices of resistance, identity-making and solidarity in contexts of inequality. Juan Eduardo Bonnin is Researcher at the Consejo Nacional de Investigaciones Científicas y Técnicas (CONICET) and Professor of Discourse Studies at the Universidad Nacional de San Martín (UNSAM). His latest book is Discurso político y discurso religioso en América Latina (Buenos Aires, Santiago Arcos, 2013).